Jog Falls isn’t really close from Bangalore, but if you have a long weekend, it’s definitely worth a visit. 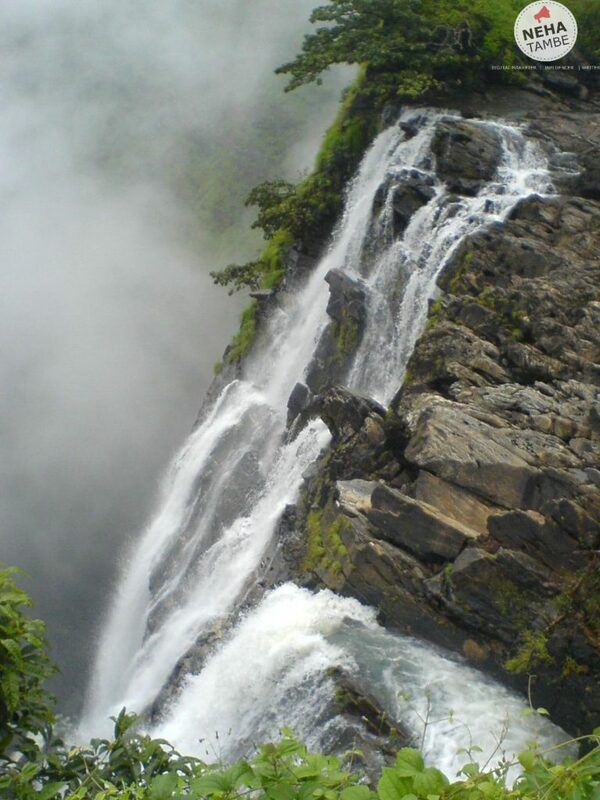 It is the second biggest fall in India and is a beauty to behold in monsoons. You can take a bus till Sagar (a place, not the sea!) and then take a local bus or hire a taxi for sightseeing. You can even hire a car all the way, or drive around, however as this is in the interiors working knowledge of kannada is essential if you have to ask for directions. Last time we checked GPS or Google Maps didn’t work around here. Sirsi, a bigger town in Uttar Karnataka is a place I would recommend to stay and then hire a taxi or driver from there for these sightseeing. Usually you can stay in Sirsi and cover Jog Falls, Murdeshwar, Shimogga, Sahasralinga and many falls around Sirsi. More about this later, however we did this and we found it extremely convenient. Jog Falls is created by the Sharavati River and is a segmented falls. If you are viewing it from the view point, in all its glory, you can easily see four streams which are named – Raja, Rani, Rocket and Roarer. Cool names! Isn’t it? Apart from the viewing point, one can trek till the mouth of the falls and see the river coming in. It is the perfect picture of ‘Calm before the storm’ If you are in the river you won’t imagine there is such a big fall just a few meters away. Dense greenery till your eyes can see and a magnificent waterfall that’s easily enveloped by the fog rising from the falls is a nature’s treat. As the falls is fed by Linganmakki dam, usually it is just a small trickle in summers. The best time to see the falls is between June to September. We have been here more than once and I can assure you summer is a no-show! Monsoon is when the falls is in its full brilliance and you can hear the waterfall even before you reach the place. It is a wonderful feeling to walk in a quiet forest, where you are just about wondering, if you are lost and then you hear a roar – A powerful gush that reminds you of nature’s might. When we went there in the monsoons, there were people gathered at the viewing point as if they were waiting for a superstar to make an appearance! The reason – the fog that rises completely envelopes the falls and you know there is a waterfall, behind that thick curtain of fog, only by the sound. The waterfall plays peek-a-boo as the fog recedes and you see the magnificent waterfall for a few minutes, only to be covered again. If you can catch the occasional rainbow, you have the perfect photograph. Just as the monsoons are receding is a great time to visit too as you can go to the mouth of the falls. Because of the force of the water and there being absolutely no safety measures in place, it is not recommended or allowed to go near the mouth of the waterfall. Like any good off-beat place, this has only a bare minimum. There is a restaurant and a government guest house at Jog Falls. Occasionally when the tourists are more, you will find an odd snack seller, but otherwise this place is bare. If you do not have enough food on you, eat at the restaurant otherwise, you won’t find a decent place till Sagar. 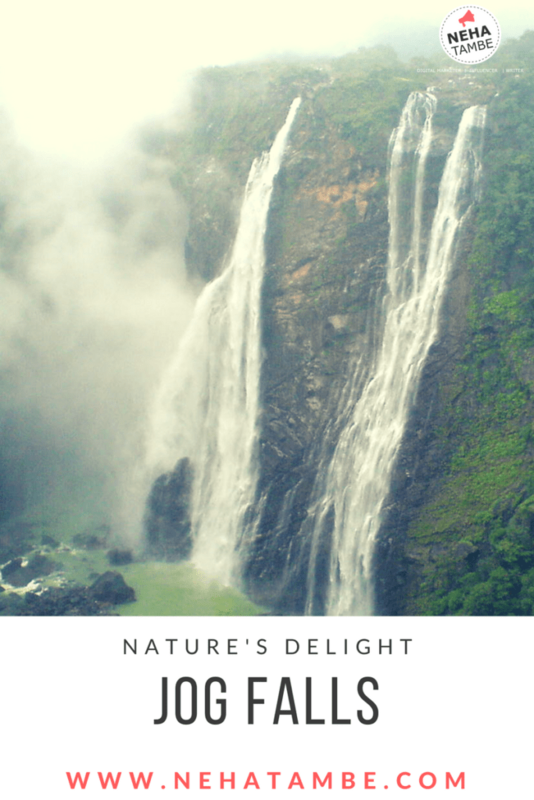 Have you been to Jogfalls? How was your experience? Amazing pics. Definitely in my list of places I wish to see. 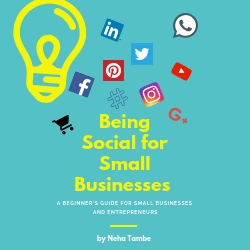 What a beautiful post, Neha! Loved the dreamy pictures and the detailed writeup. I have heard so much about Jog Falls but never been there as yet. Someday! 🙂 Please read my Week 2 post for the #SuperBloggerChallenge2018 here: https://thetinaedit.com/2018/02/23/five-classic-food-dishes-from-gods-own-country-superbloggerchallenge2018/. I have been to the sivasamudram falls in Karnataka and thay were quite intriguing. 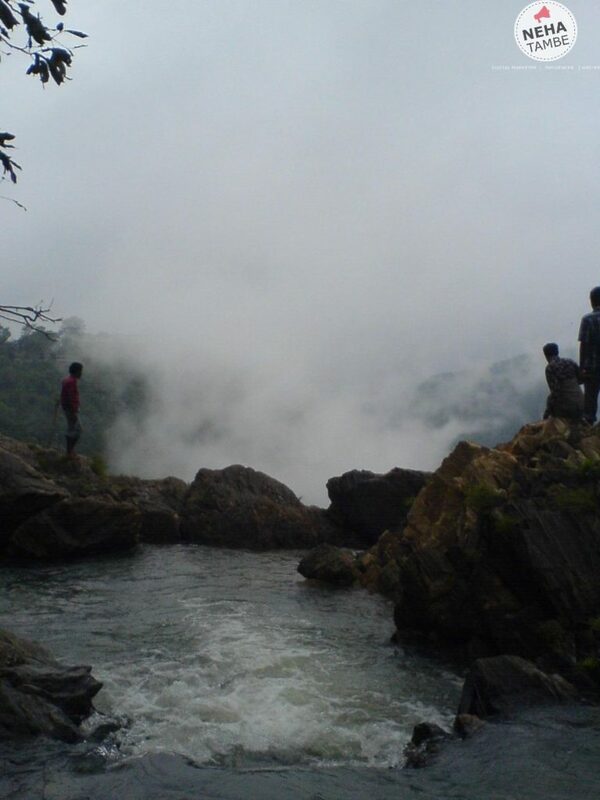 Your experience with Jog Falls seems to be very interesting. I liked the names though – Raja Rani Rocket Roarer cool! Wow…this is one beautiful place. South is blessed with many falls. We envy 🙄. Here are just a few. Cant believe i have been in Karnataka all my life and never been to jog falls. Soon! I would love to visit Jog falls.It looks stunning.Thats a gorgeous waterfall !I love such beautiful natural paradise .Untouched .